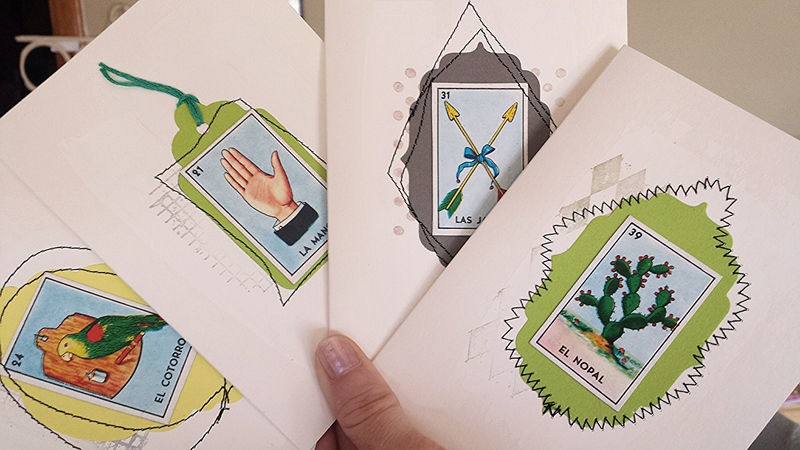 I bought a Loteria game from my local Rancho Market – a Hispanic grocery store. I love the images on the cards and game boards, because they are very simple, with bold colors and vintage designs. I made collaged greeting cards with them.